Dr. Dell McMullen, far right, the Director of DoDEA Europe, visited the school to watch learning in action. She was joined by her Deputy Director, Dr. Joan Islas, back left. They both visited classrooms and interacted with students and teachers during their visit. GRAFENWOEHR, Germany — On Thursday, May 5, the students of Grafenwoehr Elementary School had a special visitor visit the school. Dr. Dell McMullen, the Director of DoDEA Europe, visited the school to watch learning in action. She was joined by her Deputy Director, Dr. Joan Islas. They both visited classrooms and interacted with students and teachers during their visit. During their visit, both leaders watched a collaborative Math lesson taught by Mrs. Terri Sobey, fifth grade teacher, and Mrs. Kristin Levison, the school’s math coach. Afterwards, they observed Ms. Lisa Heinzmann, the Reading Specialist work with a student in our reading program. Dr. McMullen and Dr. Islas spent time in Dr. Hunter’s Class, The Jedi Leadership Academy, to answer questions on leadership. Cameron Mayfield and Alessandra Porres, Leadership Ambassadors, spoke about the different leadership activities and lessons learned during the year. Students asked both leaders various questions regarding leadership and goal setting. Dr. McMullen stated that she didn’t picture herself in the position that she is in today. She said that it took her 29 years to become the leader she is today. Dr. McMullen and Dr. Islas finished their day at the school by watching a special musical presentation of the song, It’s a Hard Knock Life, from the Grafenwoehr Elementary School cast of Annie. Dr. McMullen is a strong leader. Dr. McMullen was an inspiriting person to Dr. Hunter’s Jedi Leadership Academy and the school, said Dr. Kralevich. 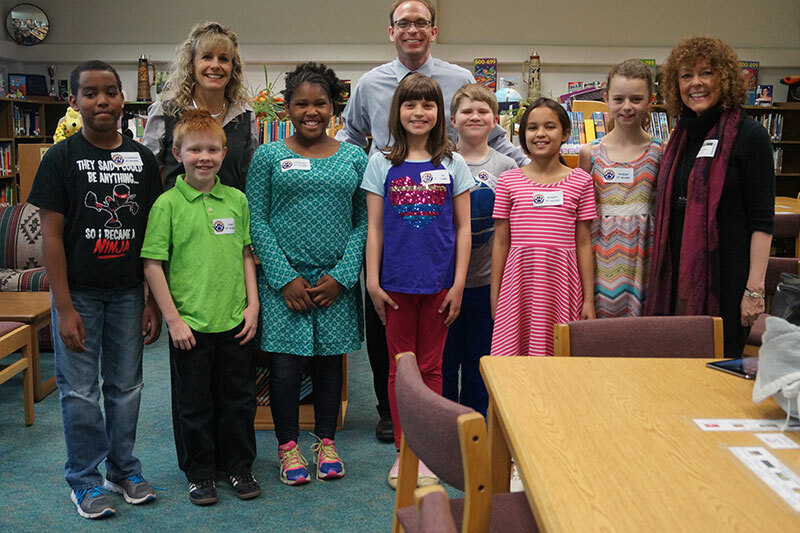 “I thought it was cool to have the leader of DoDEA Europe come to our school,” said Elijah Lewis, a fifth grade student. Editor’s note: This article was reviewed, coordinated and approved for release by Dr. Bill Hunter, a fifth-grade teacher at Grafenwoehr Elementary School.